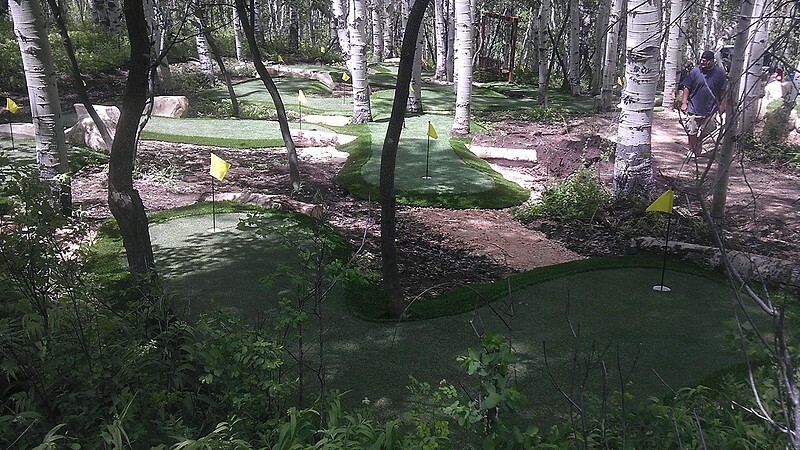 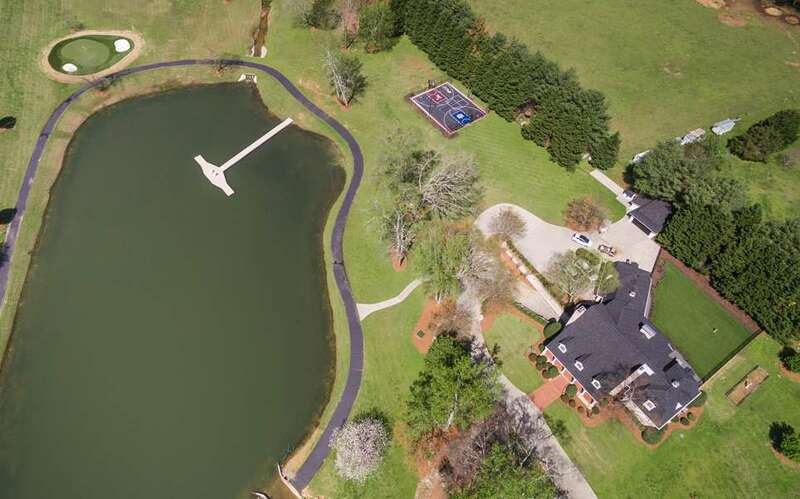 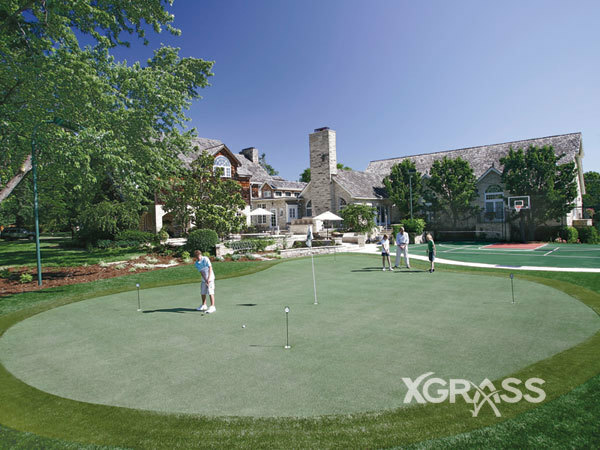 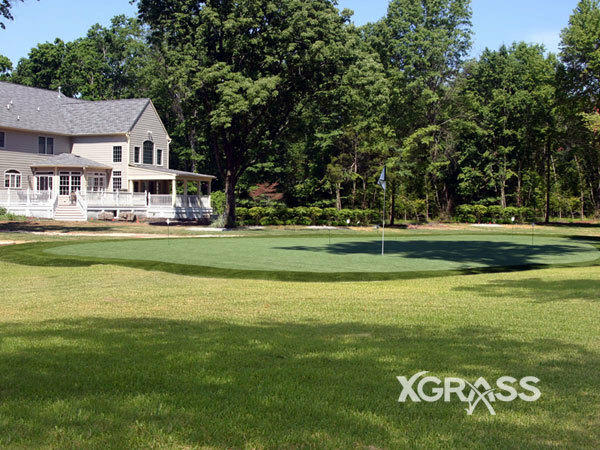 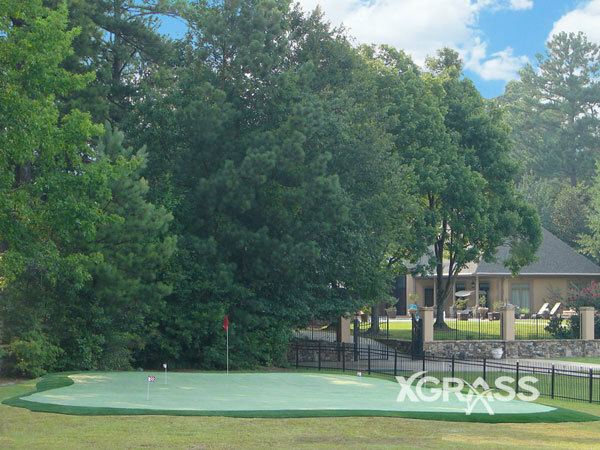 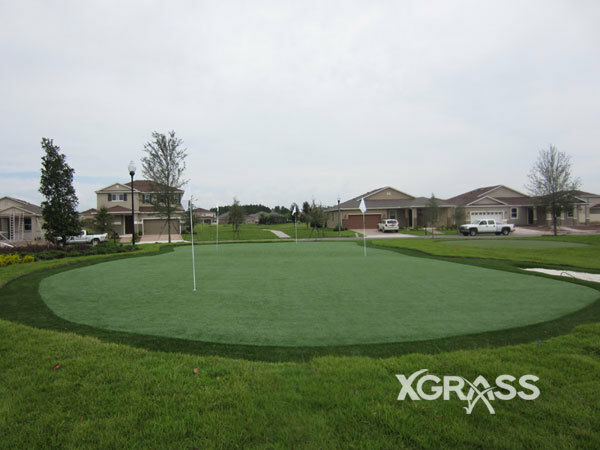 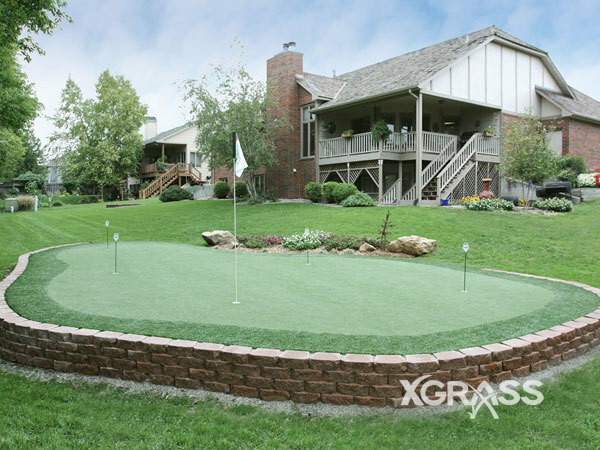 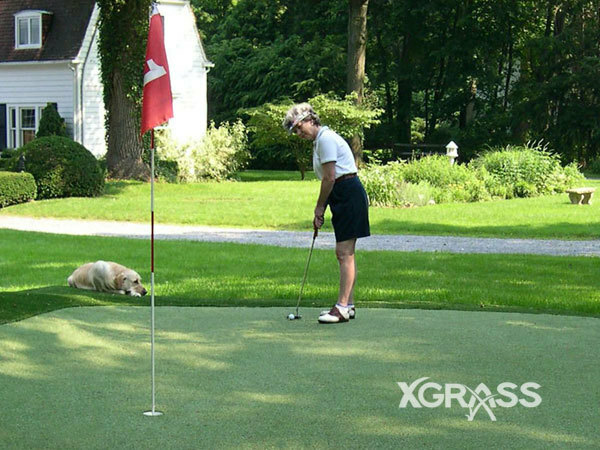 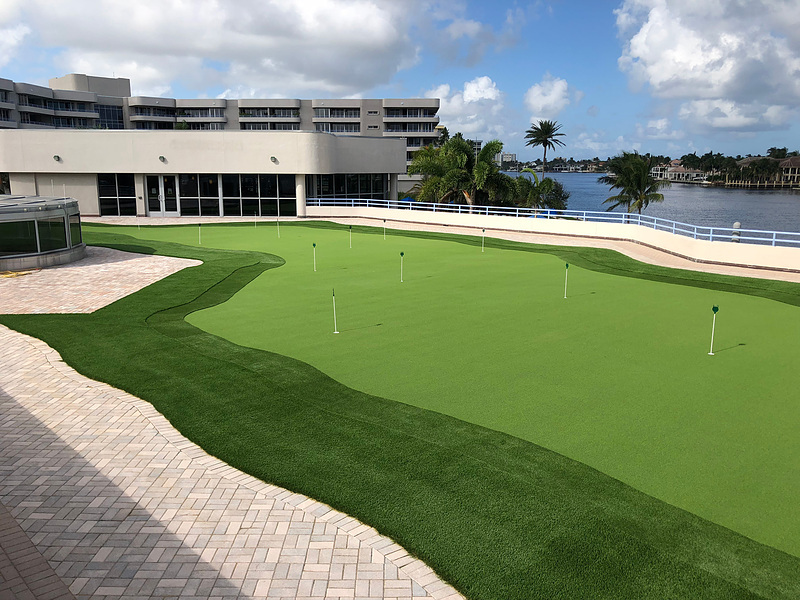 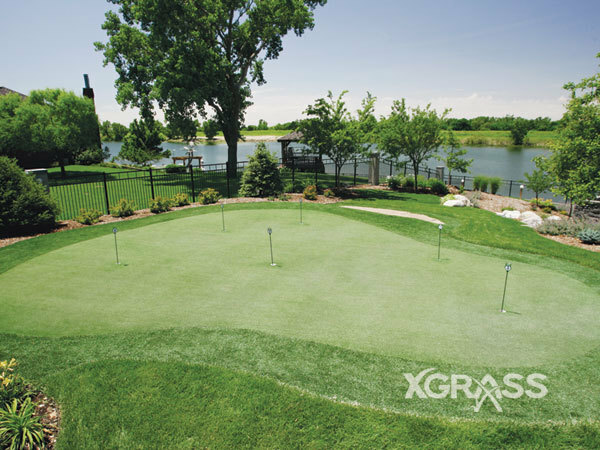 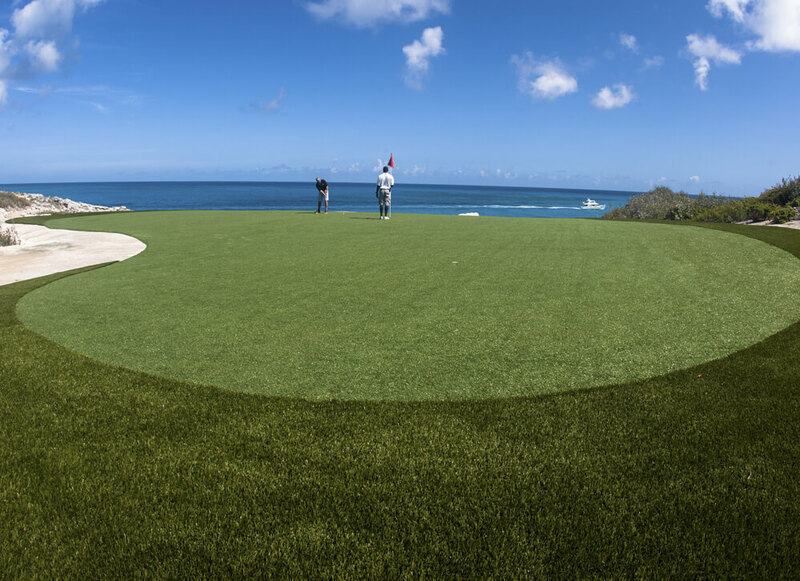 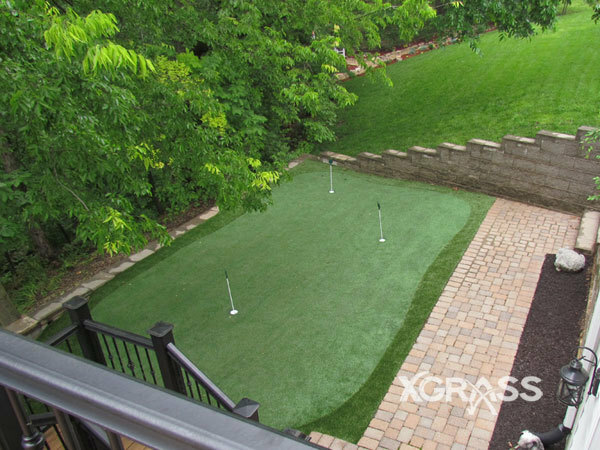 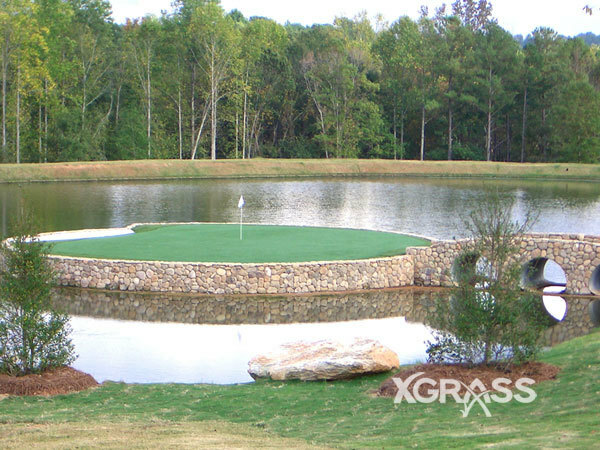 If you want to simulate a putting green on the professional tour or putt around with the family in the backyard, XGrass features an industry-leading selection of synthetic grass systems for constructing golf greens. Anyone who has ever tried to maintain their own putting green quickly learns why golf courses employ highly trained and experienced professionals to keep their green in shape. 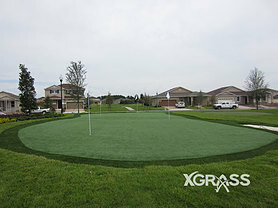 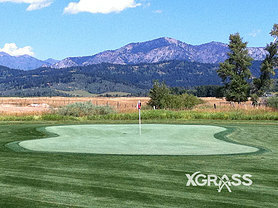 Eliminate the maintenance with XGrass. We don’t want to be the “hottest” product on the market. 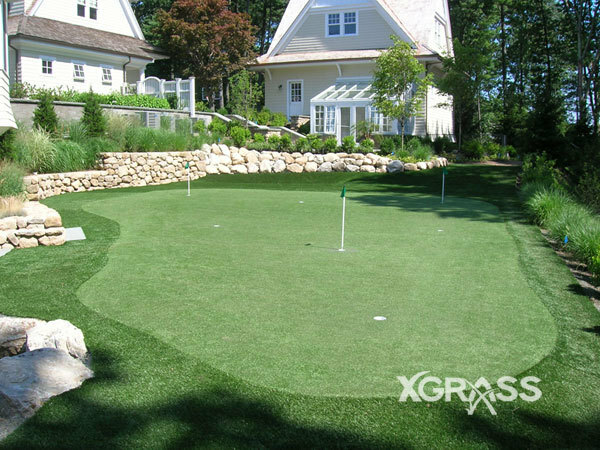 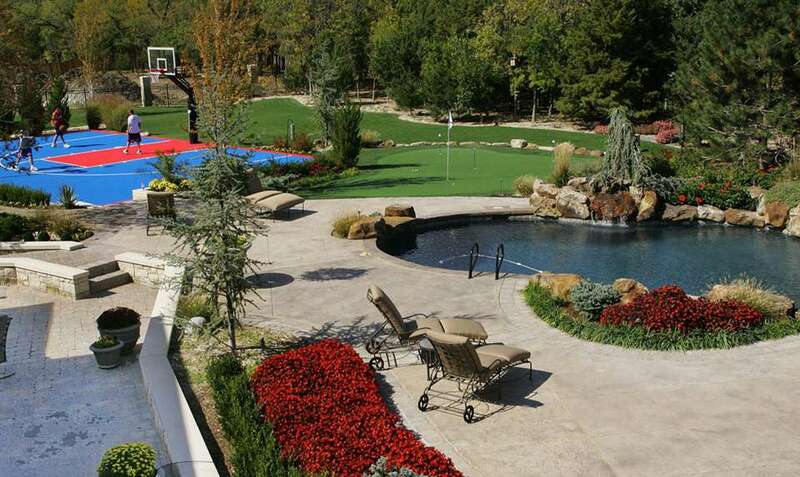 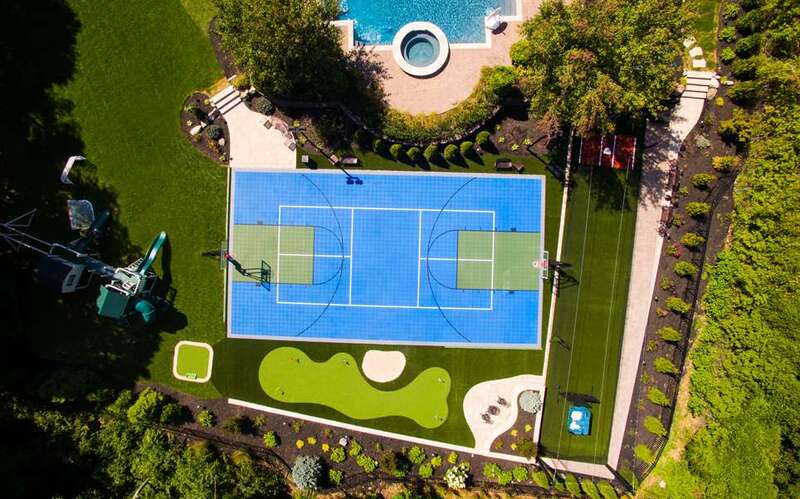 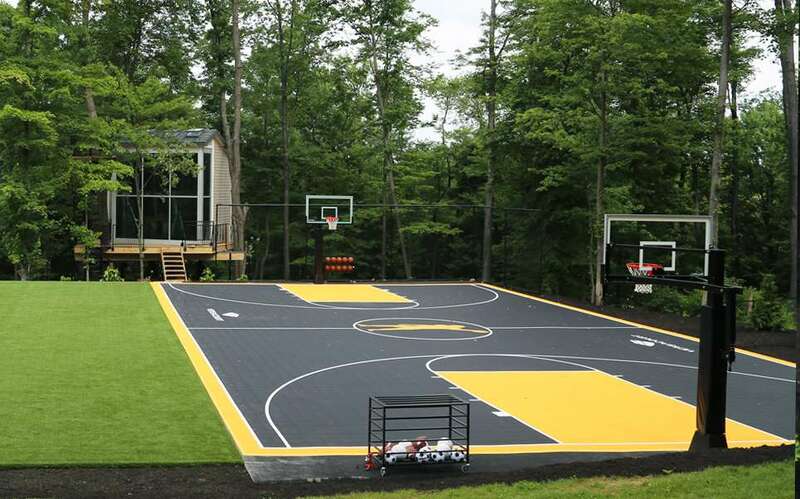 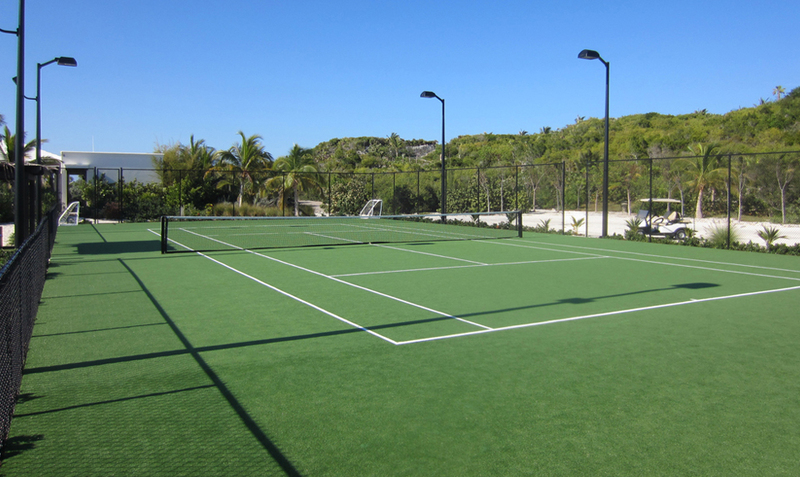 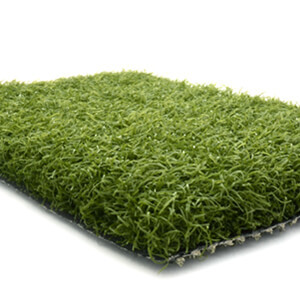 With Heat Block color options, our turf is 17.5° F cooler than the competitors’ artificial grass systems. 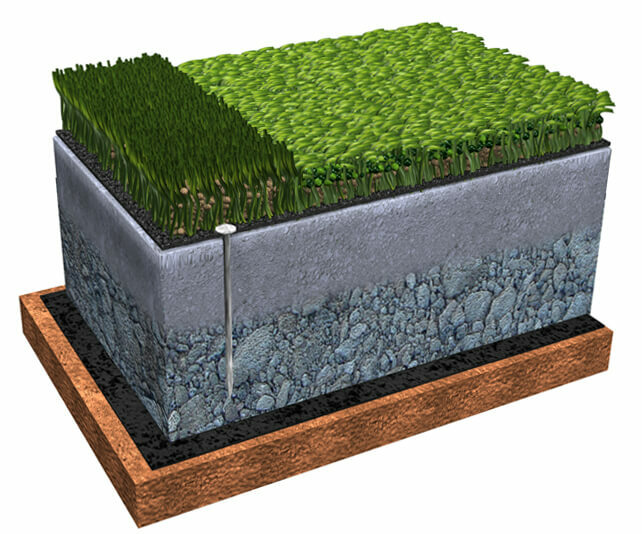 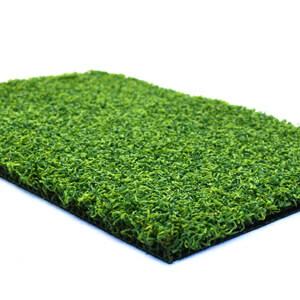 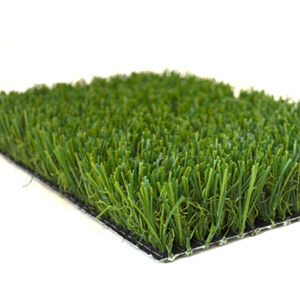 Shine Block blade profiles reduce the reflective quality of the fiber allowing our grass to appear more like a healthy, well-trimmed, natural lawn. 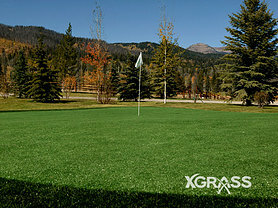 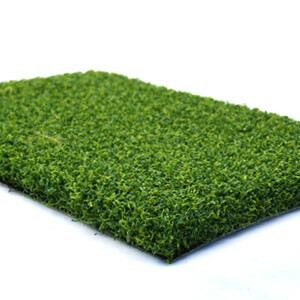 The TruRoll infill system is used to create the natural feel and softness of tour quality putting greens. 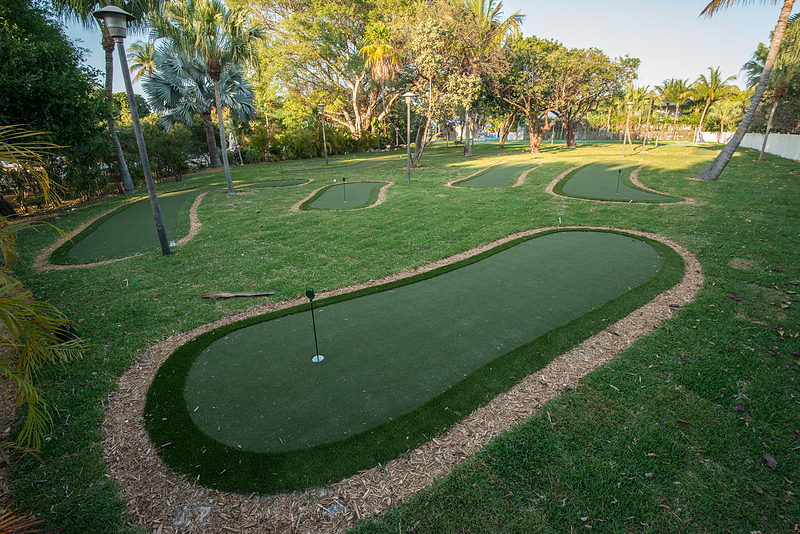 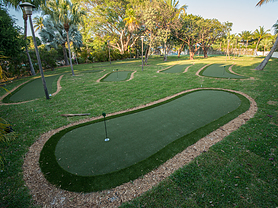 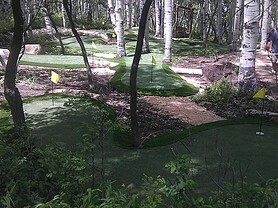 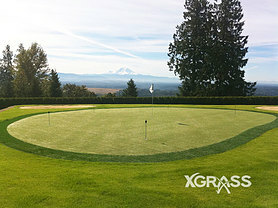 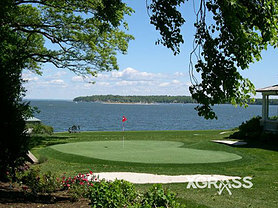 A putting green installation allows you to practice all elements of your short game. 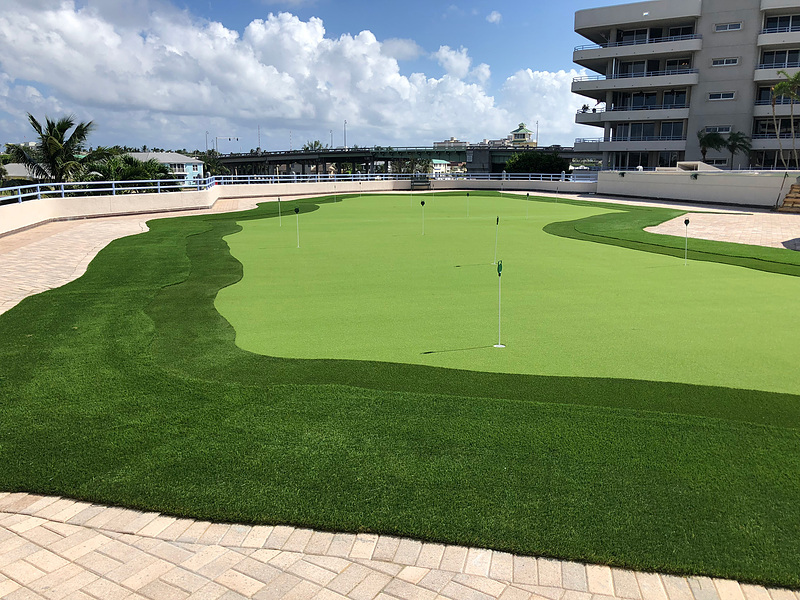 The primary putting surface features our Short Game Elite turf with DuraFlo backing and is complemented by a putting fringe surface made from Luxury 1st Cut turf. 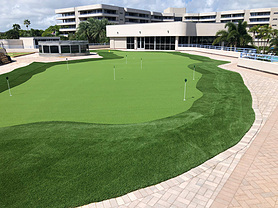 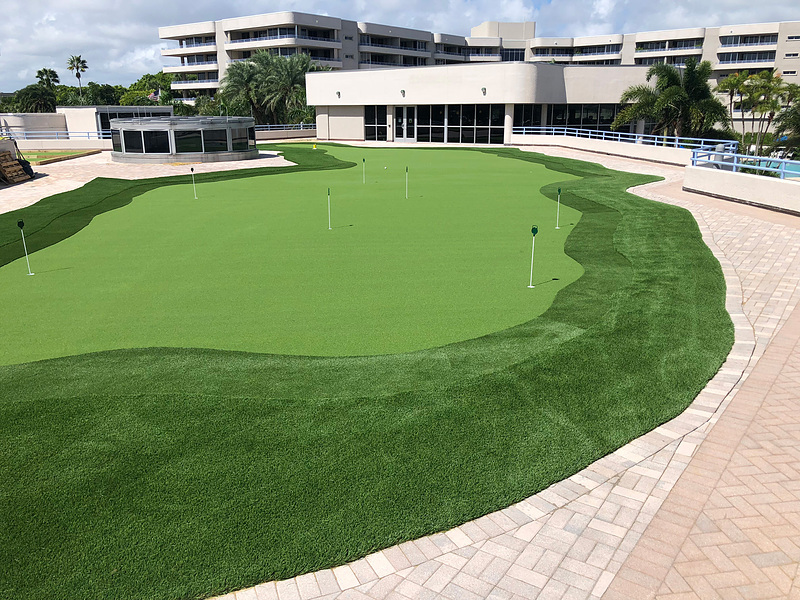 The turf is placed onto a compacted stone and stone dust base, secured with landscape nails and then finished with our innovative TruRoll infill system that gives the green its deep rich luster while keeping the surface consistent and receptive for the life of the green. 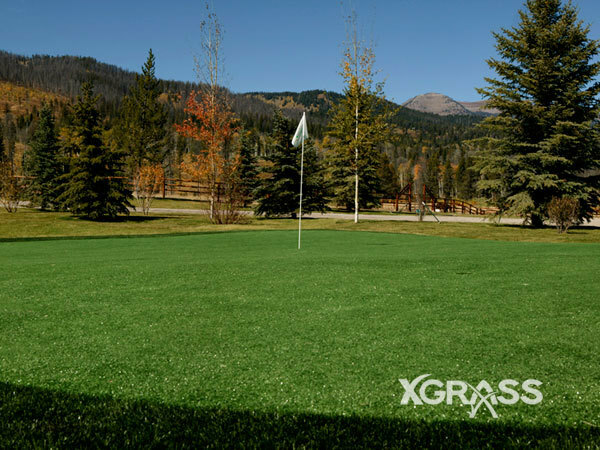 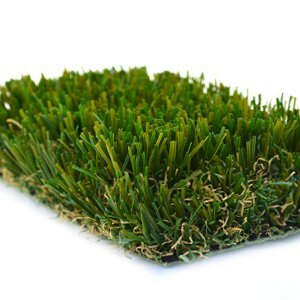 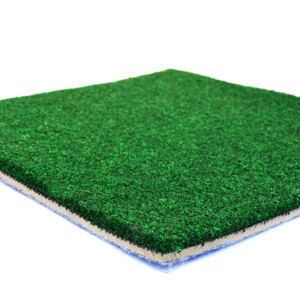 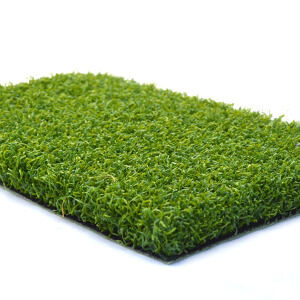 XGrass manufactures and supplies a wide variety of synthetic grass products for use in constructing putting surfaces, fringe and rough. 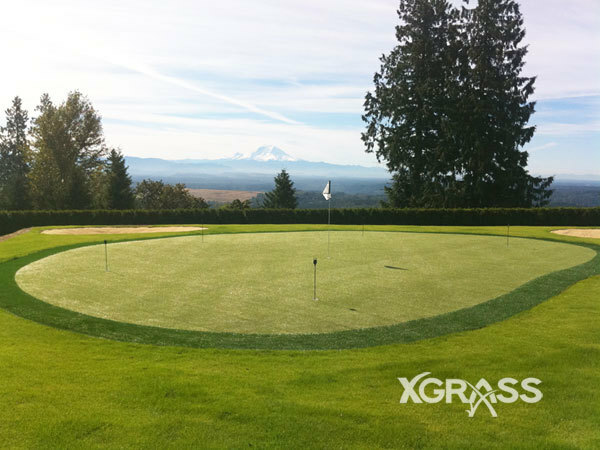 Our knowledgeable staff will assist you in selecting the correct material for the putting surface based on its location (indoor vs. outdoor), base (aggregate vs. concrete) and application (putting-only, short game, par 3 or target green).